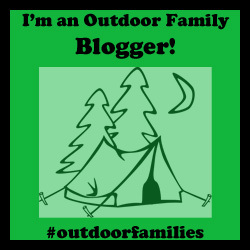 My love of the outdoors started when I was small. My parents took my sister and I camping on a regular basis, even when we were still in diapers. We loved it. We hiked often but also spent hours building forts in the woods or exploring through creeks looking for salamanders. As I look back, I’m so thankful for those days. I don’t think it ever occurred to my parents that once you have kids you can’t be adventurous. It was just natural for to adventure with kids. They just led us into the outdoor world with love and excitement. Fast forward many years. I’m 28. Life has changed in so much as the experiences that I have gained since growing older. I’m living in a quaint beach town where I can literally step off my back porch and be on the sand. I’ve finished undergrad and traveled most of Western Europe and Mexico. I’ve even spent 4 months falling in love with the Indian Himalayas. I have amazing friends and my family is just a few hours away. I have everything I want and I’m thankful. But something is missing. I have a desire to give it all up, to do something worthwhile, to experience more of the world. India is on my heart. I fell in love with the people of the Himalayas, the culture, the mountains. After much thought and many hours of talking to my friends and my mom, I decide do something big. I’m going to move to India for a year. In December, 2007, I did just that. I packed way too many suitcases, hopped on a plane, and the course of my life was forever altered. More than I could have imagined. My plan was to do volunteer work in the foothills of the Indian Himalayas. There were 2 children’s homes that I had visited before and was planning to spend my time with the children in these homes. In January 2008, after being back in India for only a month and after celebrating my 29th birthday in the hills, I got a life changing call from a nurse at a local hospital. She wanted to know if I would come to the hospital to take a baby. Wait, what? I asked her for more details and she explained that a woman had traveled far from her village to deliver a baby. She was unmarried, had been in an abusive relationship, and had concealed her pregnancy. Her family was very poor and as there is a huge stigma associated with being a single mother in that part of the world. She knew she could not keep the baby. The nurse said to me, “You choose life or death for this baby.” The words easily came out of my mouth as I answered “YES!” I then was completely filled with peace. I knew in my heart that I would care for that baby. The quick decision made me feel nervous but I was also very excited. I would be able to give this baby a home and a fighting chance in this life. I called home to tell my family. If they were hesitant about me doing this or if they thought I was nuts, they certainly never said it. They were nothing but supportive from the very first moment. I had less than a day to prepare! Collecting the things needed for a baby was not easy in the foothills of Darjeeling district, India. I tried to sleep, but I was too excited. My love for him was already so strong and I was excited to come up with a name for him. Thoughts swarmed through my head as I was thinking about the long road to adopt him that awaited us and how hard this would be for his birth mother. But most of all I was thinking that this baby is going to change EVERYTHING about my life forever. Then, I watched a woman who had carried this baby for 9 months walk away and not even look back. My heart broke for her. I looked down at this tiny bundle in my arms, whispered “I love you” and walked home. The adoption process itself was the most challenging thing I have ever done. I had to travel all over the country to find a lawyer who would take my case. After collecting all of the documents, following the law precisely, we found ourselves in a “never been done before” situation. One year in India turned into 4 ½ years! Our case went before the Supreme Court of India, more than once! When I finally received legal guardianship of Kyle in the Indian Court System, we had set precedence in both countries. I had a fantastic lawyer in India and one in the USA. While the adoption alone was difficult enough, I then had to battle US Immigration to be able to bring Kyle home with me. After that was all sorted out, we finally flew home to America in March, 2012. Kyle is now 10. It’s always been important to me as a mom to be outside. Even during the most difficult of times in India like when we had to live in Delhi for far too long. We still made time to be outside. When Kyle’s legs would tire easily, I’d tie him onto my back, just like the village women did. When it was swelteringly hot in the city during summer months, we’d escape to the foothills for a few days. I’ll never forget the smile on Kyle’s face the first time his little feet crunched through leaves in the woods in the Fall. Now that we are in the States, we spend as much time outside as possible. I’m living in that same beach town again, but my heart is full. We play on the beach nearly every morning before school. Frequently we head to New Hampshire to hike in the White Mountains and we’ve hiked parts of the Appalachian Trail in 6 states. We have big plans to visit a bunch of National Parks out West in the Fall. Becoming a mother hasn’t limited my outdoor time at all. In fact, it’s enhanced it more than I ever could have imagined. The joy I have in seeing my son accomplish a challenging hike, or watching his face beam with delight at a breathtaking view reminds me that the outdoors is definitely where we belong. Becky Morlock is a Community Herbalist and Coffee Bean Expert. She’s mama to an outdoorsy 10 year old boy. She has a B.A. in Liberal Arts and is continuing to study herbalism. Currently Becky and Kyle reside in Ocean City, NJ, USA, but you’ll often find them on road trips in their Honda Element with a rooftop tent. They love to hike, spend time on the beach, and garden.